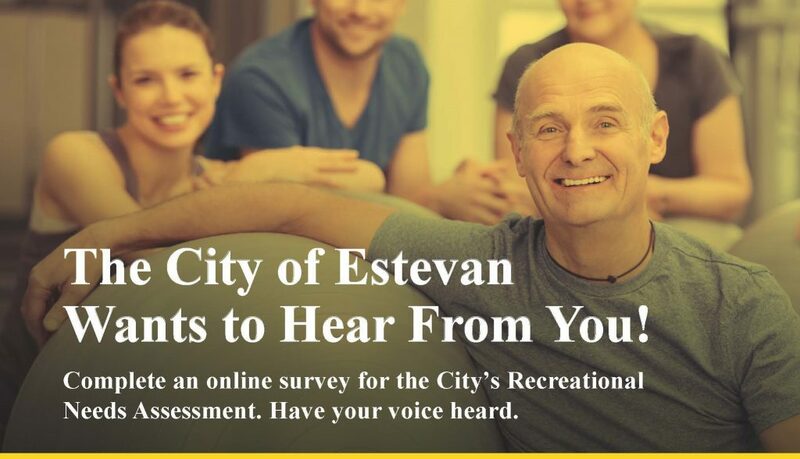 The City of Estevan needs your input for the Recreational Needs Assessment currently being conducted. The information collected from the survey is invaluable and will allow the City to better serve patrons and community groups, as well as determine where future investments in recreation spending is needed. Spend a few minutes of your time to let us know your thoughts. Make your voice count! One survey per household. All surveys must be completed by May 3, 2019. Surveys are being conducted by a third party organization and are confidential.